Being a relatively new approach to personal therapy, self hypnotism might seem like a strange and rather doubtful concept to many people that do not have a lot of knowledge in the area. However, self hypnotism is gradually gaining popularity in many places throughout the world. In fact, it has become one of the fastest growing practices in the world of alternative therapies, having achieved a remarkable success rate in dealing with issues where traditional therapies have had no positive outcomes. Also known as “autohypnosis”, self hypnosis involves getting into a self-induced state that incorporates elements of self-suggestion and relaxation. Compared to other forms of hypnosis, self hypnotism has been proven to be more effective for people involved in modern hypnotherapy, which comes in a number of forms and often involves the use of external tools such as a hypnosis CD. Through the process of self hypnotism, individuals alter their state of mind and drive themselves to overcome the mental challenges they might be facing. The goal is to improve the individual’s mental strength and concentration. Self hypnotism works in a similar manner as other forms of hypnotherapy that aim to introduce positive changes and behaviours into an individual’s life. However, self hypnotism is arguably more effective in achieving this outcome as it can easily introduce desired ideas or behaviour directly to our subconscious mind. This gradually makes an impact on the rational and analytical conscious mind, making the new idea, behaviour or thought part of a daily routine. This is very helpful for people who are trying to give up a bad habit, build up a new routine in their day-to-day life or simply achieve deeper fulfilment. This practice is extensively used for different purposes including therapy and mind training. A number of studies have already proved that self hypnosis could bring about a positive result for individuals suffering from various issues such as anxiety, pain management, obesity, depression, sleep disorders, asthma, and even skin conditions as well. It has also been revealed that people who have mastered the art of self hypnotism have improved concentration, problem solving skills, recalling ability, and have better control over their emotions. It is, however, mostly used to help people give up unhealthy habits such as excessive drinking, smoking and so on. The process of self hypnotism generally goes through five stages and these are induction, deepening, hypnotic body, direct suggestions and conclusion. The first two stages involve the individual entering a trance like state so that his or her subconscious mind is up and ready to accept new ideas. In the later two stages (hypnotic body and direct suggestions), the person is introduced to the new ideas, their benefits and the guidance needed to follow them. The process is then concluded in the conclusion stage by giving the individual a choice to wake up from the trance state or keep on sleeping. 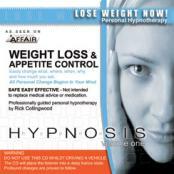 If you are interested in self hypnotism and just starting out, using a hypnosis CD can be helpful and these are readily available in online and retail stores.